Recently, the celebrated Film Director Rakesh Roshan was diagnosed with early stage throat cancer. The news was shared on the social media by his son, film star Hrithik Roshan. For the past two years many movie celebrities shared their experiences around having cancer and the how life changed for them after getting to know about the cancerous conditions they had. This included notable actors like Irfan Khan, Nafisa Ali, Sonali Bendre, to name a few. While for Rakesh Roshan it is good news in a way because his cancer got detected early on, helping him and the doctors to provide treatment and help get rid of eat at the initial stage. 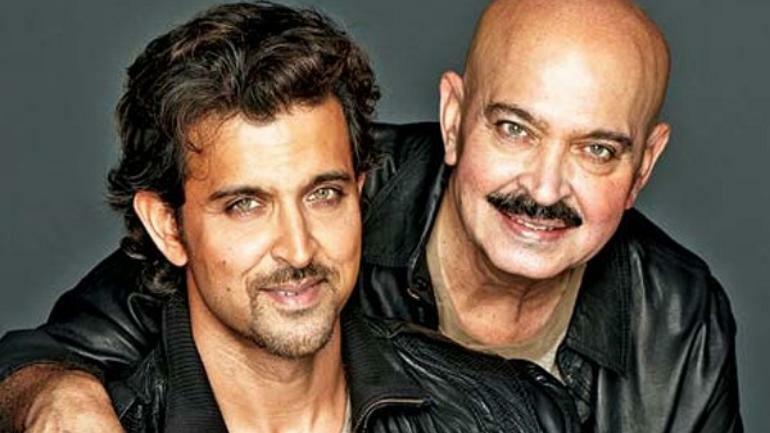 Rakesh Roshan is suffering from early stage squamous cell carcinoma of the throat and had to undergo surgery as well. Throat cancer is not a new in India, and occurs due to growth of abnormal cells around the throat lining in an uncontrolled manner. The cancer is quite common in Indians and occurs mostly in age groups of 50 and above. It is a considered under the category of cancers for head and neck. In oncology throat and neck cancers come under one category because of they have similarities in their type, pathological features, predisposing factors, cancer types and more. Throat cancer includes cancers around the vocal cord, tonsil, voice box and orpharynx. There are two categories of throat cancers namely pharyngeal and laryngeal cancer. The two primary types include the Squamous cell carcinoma and Adenocarcinoma. Squamous Cell Carcinoma – Known to be one of the most common forms of throat cancer, this affects the throats flat cell lining. Adenocarcinoma – This cancer is not as common as the first one and affects the glandular cells. Early detection of cancer is not easy but if it is, consider it as a boon. It helps to give appropriate treatment and curb it and eliminate it as well. Symptoms include weight loss, trouble with swallowing, change in voice, swollen lymph nodes, ear pain, wheezing and persistent cough to name a few. Men are known to be at a higher risk than women when it comes to getting throat cancer. Even life style that includes addictions like excess alcohol, smoking, genetics, poor dental hygiene and nutrition as well as asbestos exposure increases the chances of getting throat cancer. The treatment depends on the diagnosis and could include surgery and or radiation therapy and chemotherapy. Surgery – Depending on the size of the tumor, the surgery could be an endoscopic one or it could be cordectomy wherein a part or complete vocal chord is removed. When a part of your chord is removed it is known as laryngectomy, while when a part of your throat is removed it is known as Pharyngectomy. If the cancer is spread across the neck then it is known as dissection. Intensity modulated radiotherapy / 3D conformal radiation therapy – These treatments customize the radiations as per the tumor shape and is a common technique used in cancers like the hypopharyngeal and laryngeal cancer. Brachytherapy – This is not a common type of radiation therapy and includes placing a radioactive seeds within the tumor. Chemotherapy – Chemotherapy is one of the common treatments given to cancer patients either with or without radiation therapy. This is given when the tumor has spread through the lymph nodes to other parts or tissues. Treatment of this cancer can cause side effects like difficulty with breathing, swallowing food, disfigurement of face or neck, difficulty with speaking and hardening around the neck to name a few. With the help of occupational therapists you can learn to deal with such issues. Early detection of throat cancer means high survival rate. While if detected later, the speed could be slowed down thus prolonging life span through treatment. This entry was posted in Education, Healthcare and tagged Bangalore cancer hospitals, best cancer hospital in india, best cancer hospitals in bangalore, best cancer treatment in india, throat cancer, vydehi cancer hospital on January 23, 2019 by admin. Abhishek Bachchan and Dyslexia – The connection!